Summer is in full swing and the hot weather is here! As I was putting together my menu for the week yesterday, I was trying to find snack ideas that were healthy and perfect for summer. That’s when I stumbled upon a gazillion ideas for homemade popsicles. Not only are homemade popsicles fun to make, but they’re fun to eat. This is a project you can get the kids involved in. Of course, there are a few popsicle recipes in here that are for the adults only. Can you say Margarita Popsicle? Oh my. Cool down in the summer heat with a homemade Popsicle! There you have it! 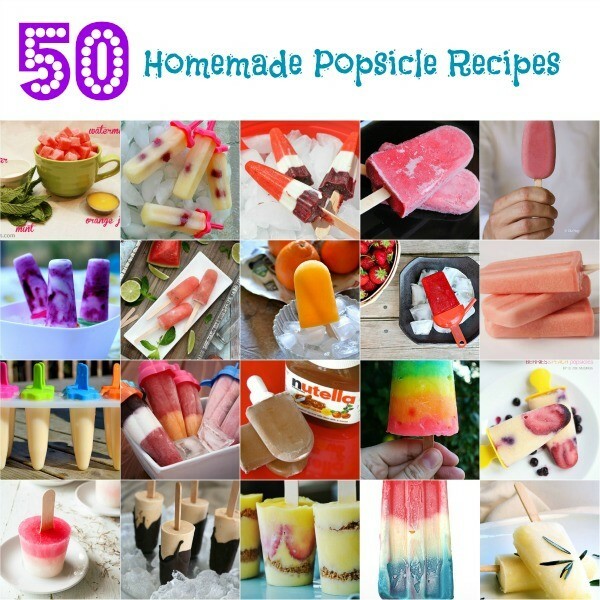 50 Homemade Popsicle Recipes. There are about…50 of these I want to try! Previous articleI’m Now a Sounfreaq and I Love It!